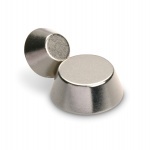 Neodymium-Magnets (NdFeB) - real Supermagnets! 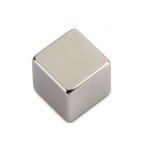 Neodymium magnets can be found on the market with the name of magnets neodymium iron boron, or NdFeB magnets. 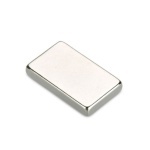 Neodymium is part of that category of materials known as "rare earths." The name of the rare earths is not due to their concentration in nature but to the difficulty which occurs in the separation of these from other materials with which they are linked through chemical bonds. 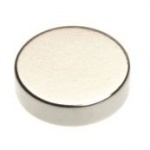 For this reason, it can be said that the neodymium magnets are not the cheapest but their magnetic force is among the most powerful, this power is found already in a magnet of few centimeters. What you need to do is look for the form most suited to you. 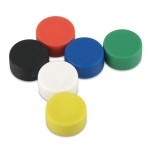 We offer the following forms: disks, cones, rings, cylinders, cuboids and blocks, cubes and spheres. Even our self-adhesive magnets are versatile for many uses because they stick practically everywhere. 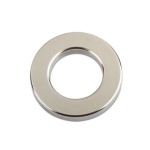 The industry and enthusiasts cannot substitute neodymium magnets because their strength is significantly higher compared to the traditional magnets. The new technologies have in fact the plan to develop the neodymium magnets and let them reach a higher maximum temperature. 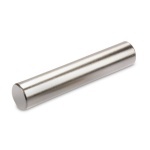 Many scientists are working on a solution and to improve the quality and strength of these magnets and they are sure to be able to find an answer in the near future. For this reason, neodymium magnets are not only very powerful in terms of strength, but they are really used in a lot of fields such as in the manufacture of mobile phones and computer components. The laboratories that deal with engines and energy technology now cannot possibly think to work without neodymium magnets. For example, the speed and power of a hard drive or an amplifier has been improved thanks to the use of a small magnet with its super powers. 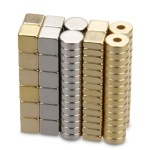 The rare earth magnets are also popular for home use. Just be careful and follow a few instructions for safety and for the proper use of magnets. Because of their strength is not advisable to let people with peace-maker use them or use the neodymium magnets near flames. It is not recommended to let children get in contact with big neodymium magnets, welding is forbidden. 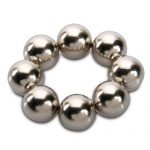 Our magnets can be used to make a lot of experiments or create small objects or you can create a decorative object by putting many different shapes together such as spheres, cubes and parallelepipeds. You can try and pick up needles or pieces of metal or during a walk you will be surprised of all the things that remain attached to your neodymium disc. 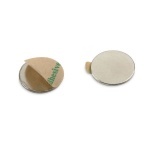 The adheisve rare earth magnets will stick to almost all types of surfaces. Just take off the protective film and attach the magnet and use it as a practice closure in combination with a magnet of the same kind. The rings are used in alternative medicine, thanks to the different models and measures for diameter and thickness offer a wide range of use. The remarkable thing of these magnets is their resistance to atmospheric agents guaranteed thanks to a nickel, zinc or copper coating. These magnets look stylish in this simple metallic colour. They are suitable to be combined with other materials. What about using them for magician tricks? Our magnets are without a doubt an original gift idea and it’s always appreciated.